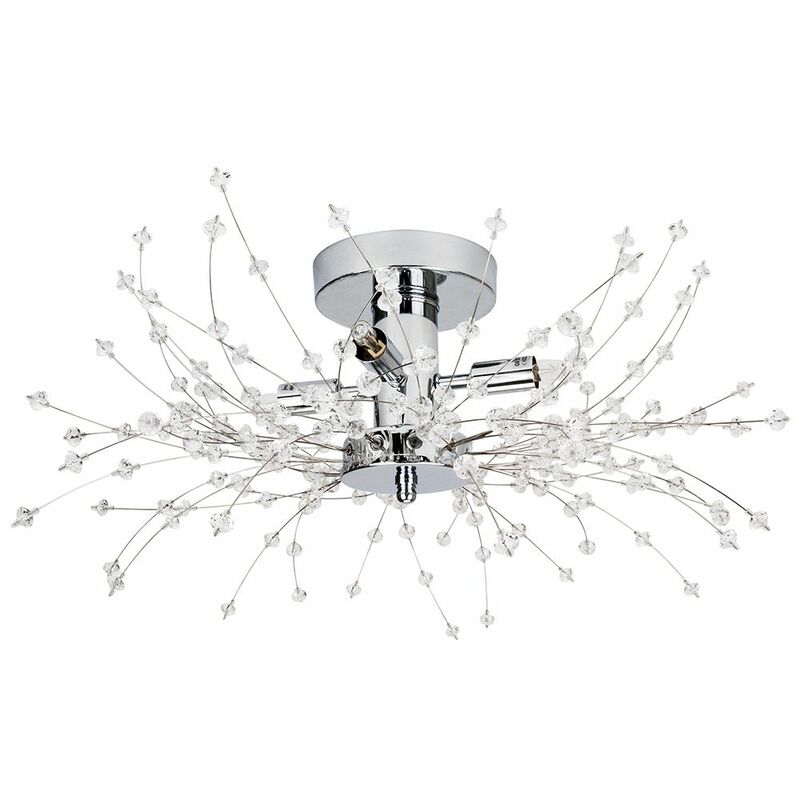 Contemporary and unique polished chrome plated ceiling light fitting. 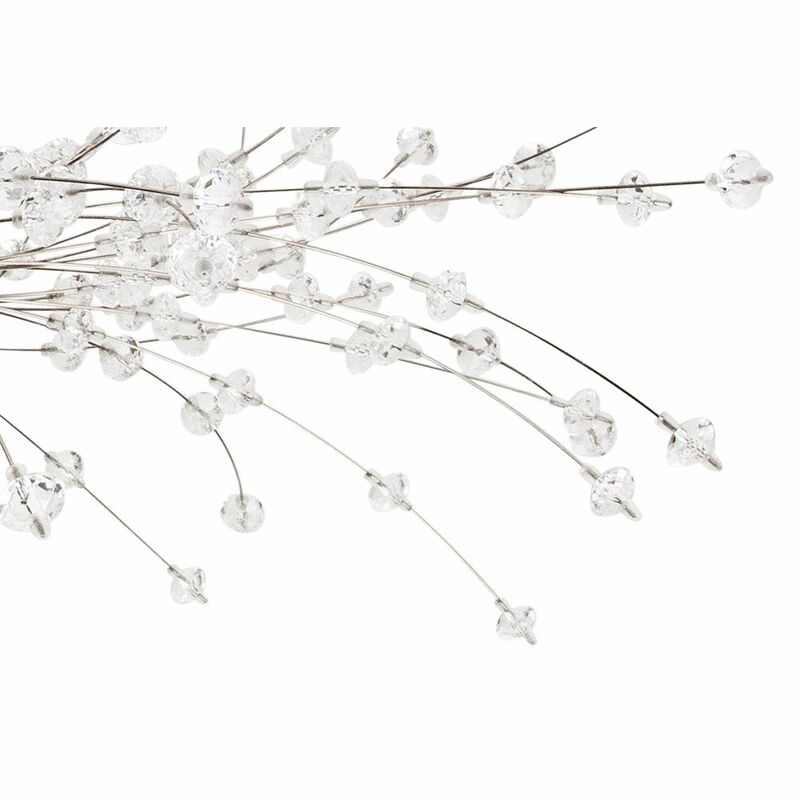 Features multiple transparent acrylic beads attached to wire branches all of which are different creating a modern effect. This fitting is particularly suitable for low ceilings and is dimmable (bulb permitting). Product dimensions - Height: 20cm, Width: 50cm, Depth: 50cm. Requires 4 x 28watt G9 capsule bulbs (not included). LED G9 bulbs may be used if desired.